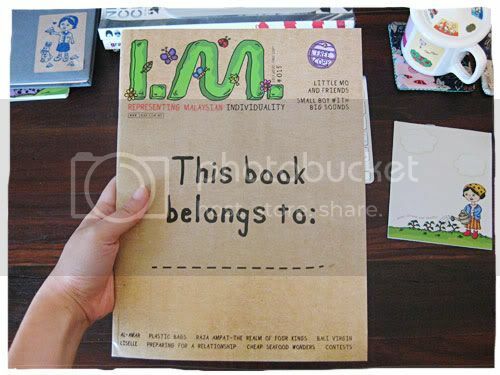 While doing some spring cleaning today, I came across this May issue of I.M magazine. 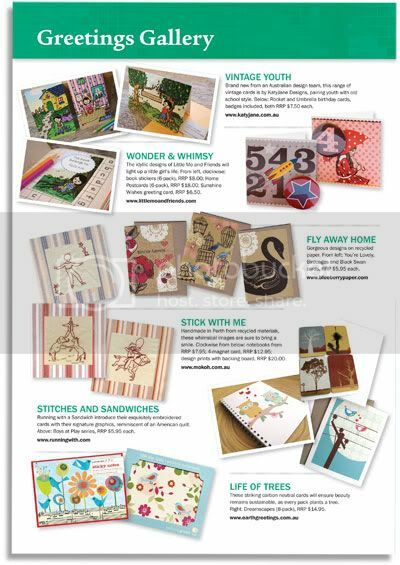 There’s a lovely write up of my business in here and it was at the time when I had just launched my wearable art collection. 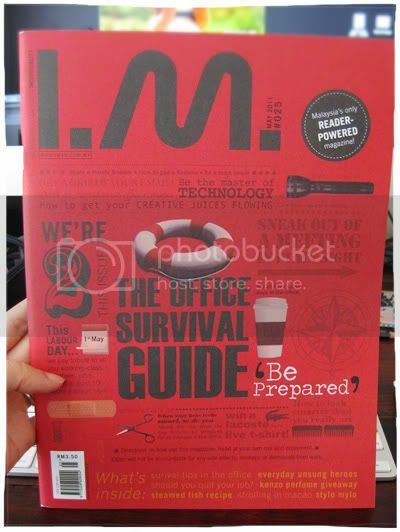 An ex colleagues of mine from the advertising industry gave me this magazine. 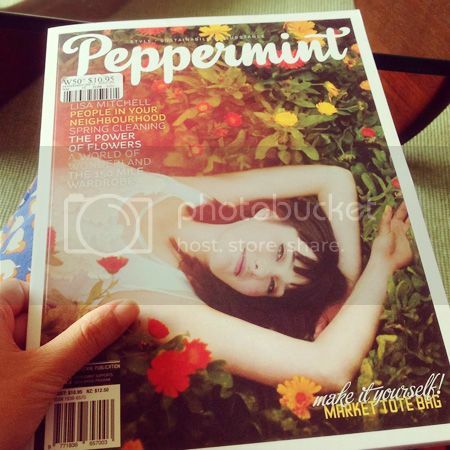 It turned out that she had just started her new job at the magazine (she designed the cover), and she was surprised to see my work while putting the magazine together. What a happy coincidence! Thanks I.M for the nice feature! 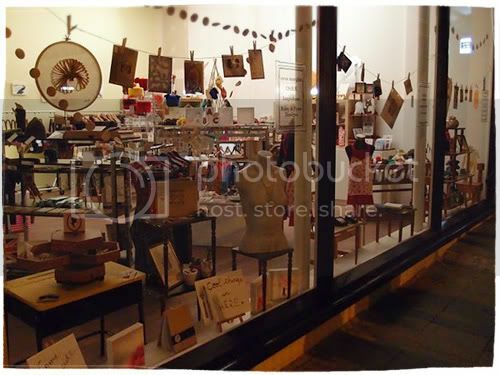 Possibly one of my favourite handmade shops in Perth! 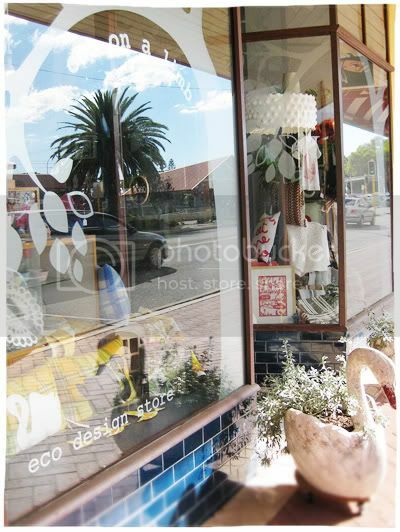 This little eco store is filled with eco friendly wares, botany and nature inspired products. All of my favourite things! 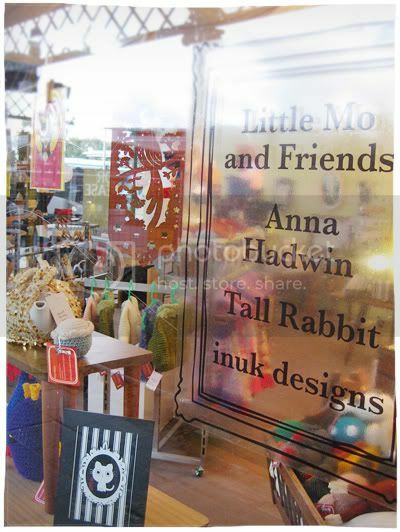 I’m over the moon to have my Little Mo and Friends stationery stocked in Debbie and Kiri’s gorgeous shop! Thank you so much! 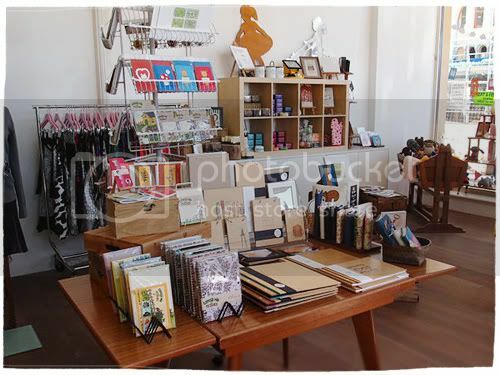 If you haven’t visited this shop yet, come in and take a peek! 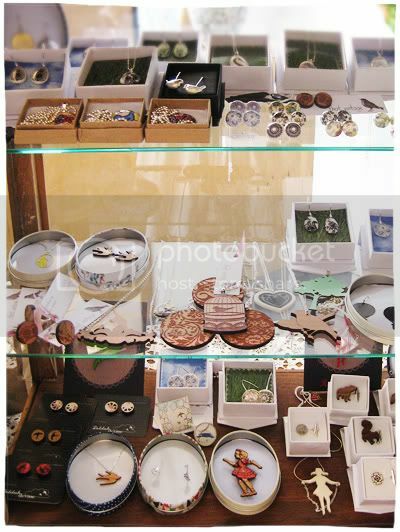 A shelf full of beautiful handmade jewellery! 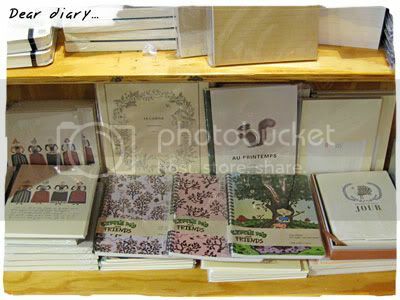 Little Mo notebooks in the stationery corner! 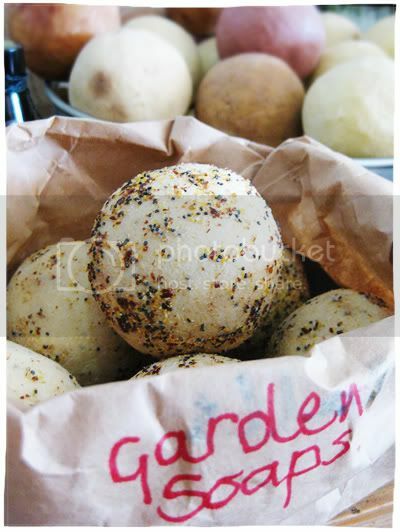 Potato look alike soaps! So cute! And because I have 3 mums (including my mother-in-law..yes I am a very lucky girl!) I bought them gifts from this shop, including this soap. Mums no more peeking, you’ll have to wait for your surprise in the mail! Hello! 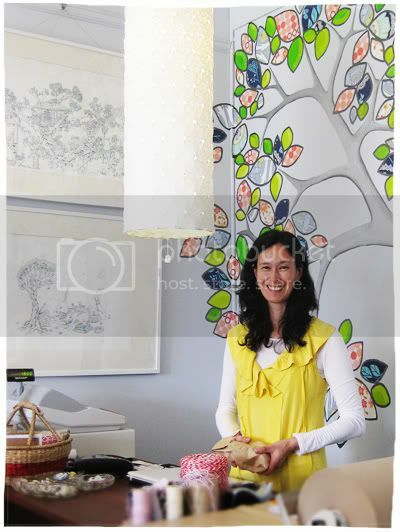 If you found me from The Perth Voice article, thanks for stopping by! I was so excited to read the story and it also made for a nice surprise for my parents and husband! They think I’m famous now just because I got my picture published in the newspaper:) I don’t think so! If you’d like to read the article, you can download my interview here. I also have an online shop where I sell my handmade art! This weekend I’ve been busy juggling shop duties at Montage Collective, and trying to finish another horoscope illustration. Sometimes I feel like there is not enough hours in a day to finish what I’ve started! There are so many drawings in my sketchbook that I have not had the chance to fill in with colours. 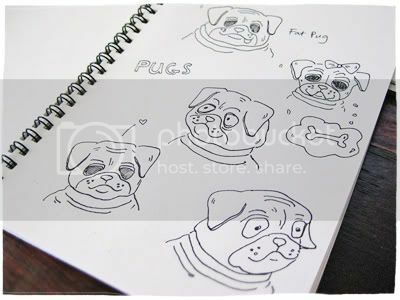 I’ve been meaning to ink in my pug drawings and make some cute pug products. Do you like pugs? Maybe you can help me! What kind of pug items would you like to see in my shop? I need some ideas to get started! 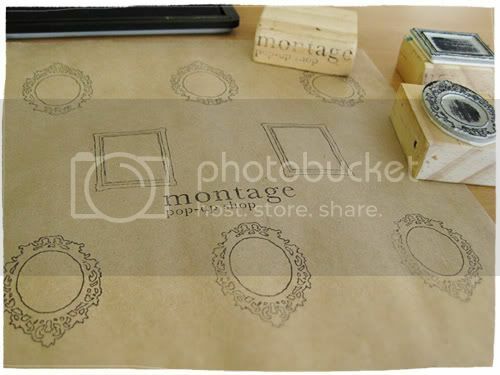 So our Montage Pop-Up Shop is open for business! I took a few snaps while I was working at the shop today. 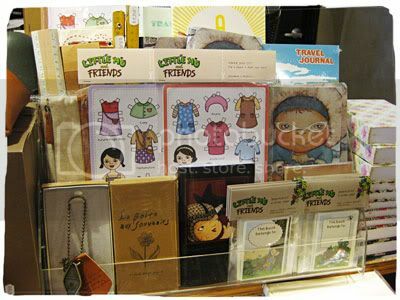 Our stationery section filled with wood journals from lorgie&me, denim hand stitched journals from iheartcharlie, animal notebooks from Tall Rabbit and Little Mo writing sets and recycled notebooks. 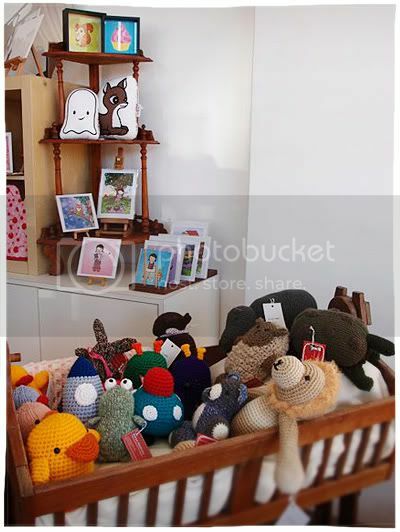 In the kiddy corner (one my favourite corners in the shop), Little Mo art prints and a cradle full of crochet toys from Anna Hadwin. I often hear people go, “ooh…ahh” when they dig through that cradle! 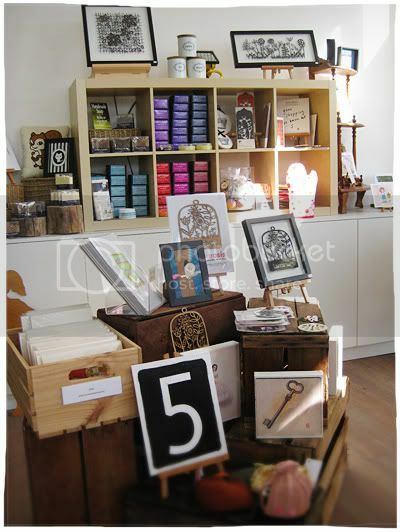 Vintage inspired canvas art from Riley and Fynn Designs and a shelf full of divine smelling soaps from Empire of Delight. I love that the soaps make our shop smell nice 24/7! 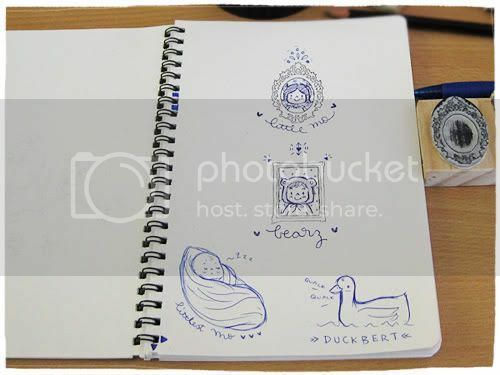 A little bit of stamping action and a sketching session with Niina from eeva margita. Two months ago..or actually on the day that I was flying out for my trip, the postie arrived with a present. 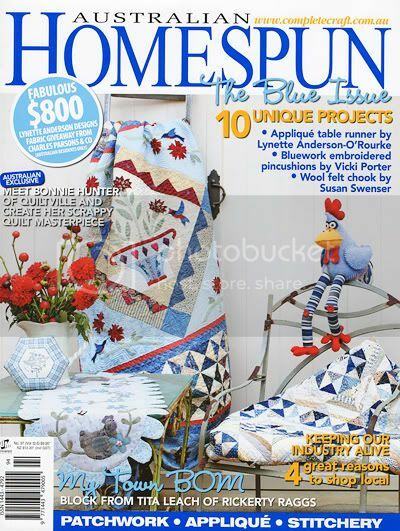 A copy of the Homespun Blue Issue magazine. 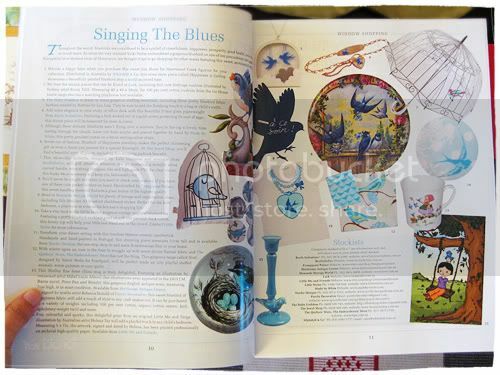 I had a quick flick through it and saw my art print in the magazine. I remembered doing a little dance in the living room because it was such a nice surprise! I finally got around to reading the magazine today and I adore the blue theme. 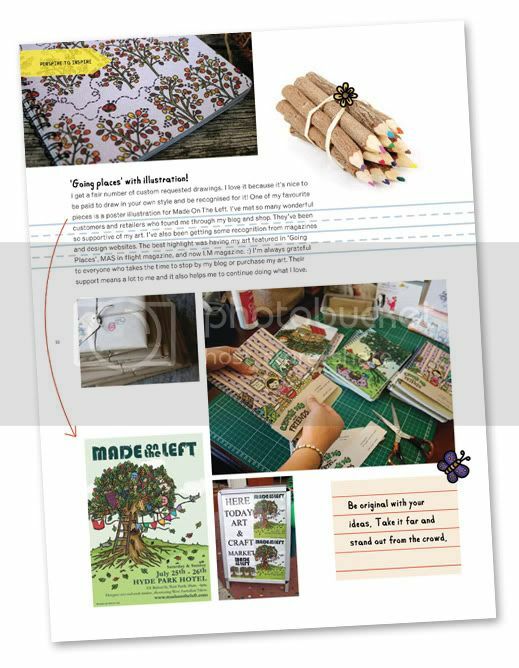 If you like sewing, quilting and knitting, then this magazine is a must-have on your shelf. 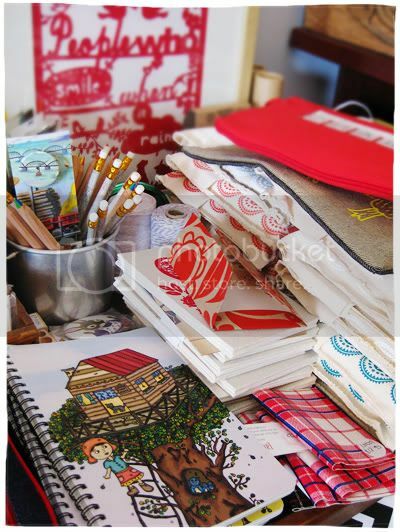 It’s filled with crafty projects for all ages. 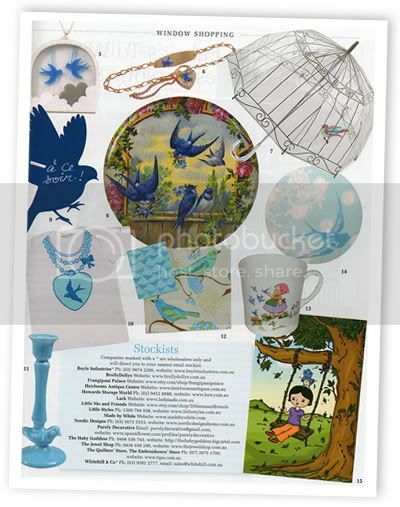 Here is my Little Mo and Twigs art print, featured alongside an array of pretty bluebird goodies. 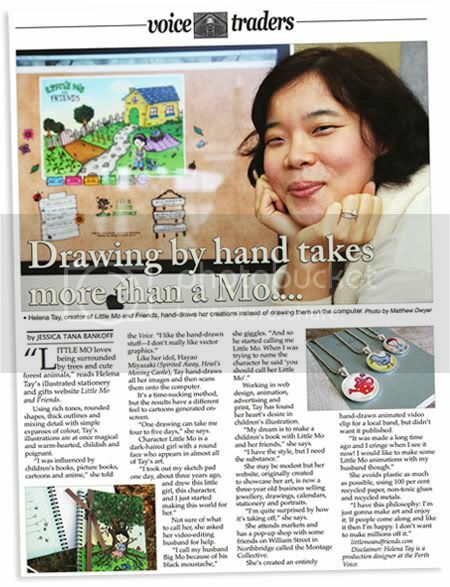 Last year I.M magazine featured me on their July issue. It was a really awesome feature and so nicely put together. I couldn’t be happier. I love that the cover of the magazine kept with the theme of my website and logo. 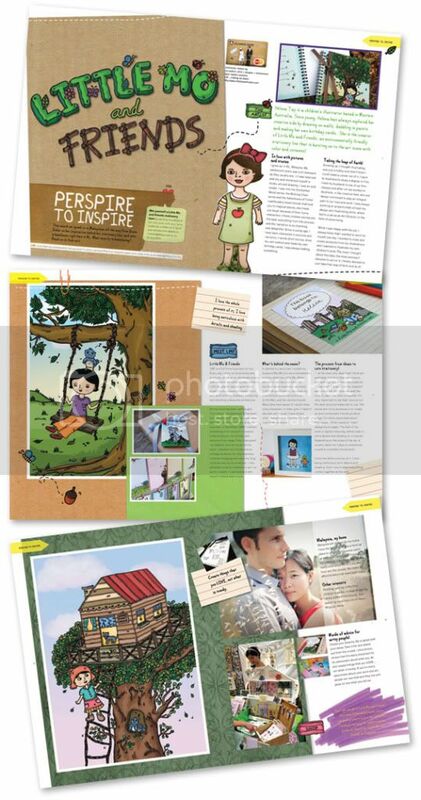 At first I was a bit embarrassed to blog about my feature because I’m used to seeing snippets of Little Mo and Friends, not pages of write ups and illustrations. It was my first time having such a big feature story. I only told Richard and a couple of friends. I don’t think my parents even knew about the write up! What made me hesitant to show the story off was that I didn’t want to come across sounding as if I was a very successful illustrator. I feel that I’m far from hitting the ‘big time’ and I know that I still have lots to learn and grow with my business. Now that a few months have passed, I think I at least owe this feature story to my mum and family, and those of you who have followed my journey and blog faithfully. I realise that I should try to be more open and brave, which includes telling people about my handmade business and my drawings. I should learn to be proud of my achievements too and promote my drawings as much as I can, especially if I want to see an increase in my business sales this year:) ! So anyway…I love this write up (I’m proud to say so myself) and I’ll even forgive the team for including a large photo of me. You can read the full interview here. Or check out more photos on my facebook album. Thanks so much for your support and staying by Little Mo’s side! I can’t wait to see what my third year of business will bring! Yaay! 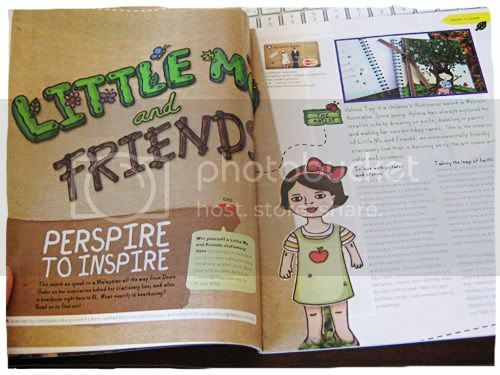 Little Mo and Friends is featured on the latest issue of Giftrap Magazine. 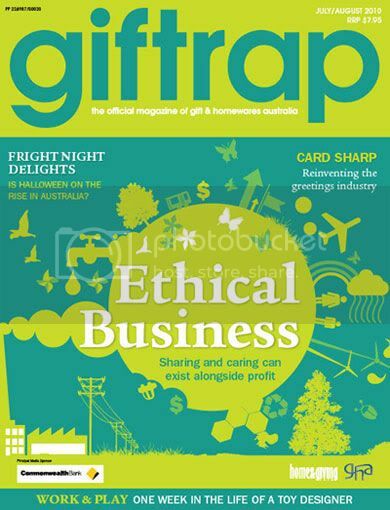 I love their latest issue because they focused on environmentally friendly businesses in Australia. As an eco-designer myself, I find it so inspiring to meet other designers who share my passion for helping the environment. I think it’s good to see an emergence of new businesses that are becoming more eco-aware, and are creating lots of fantastic sustainable products. 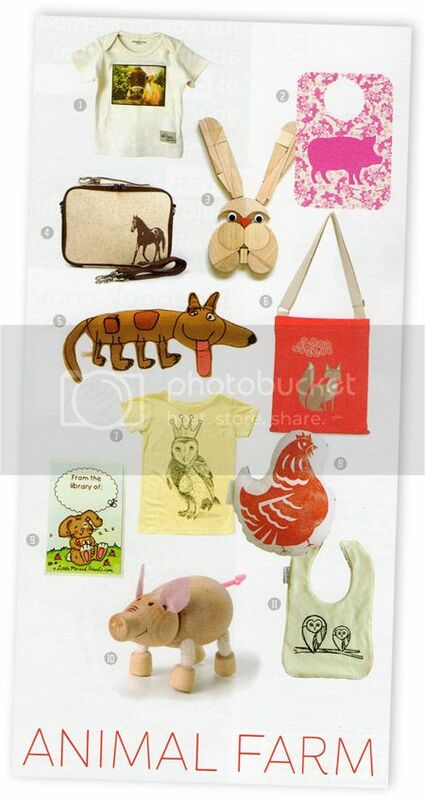 And it’s also good to see customers choosing to buy recycled products. Apologies for my sporadic postings! I’ve been trying to juggle between drawing and work and the latter seems to take up more of my time. But I’m determined to draw more than ever! In fact on some days when I come home and I’m so tired from work and the long train ride, I just go straight to my desk and sketch. I find that it relaxes me. Currently on my playlist is Buffalo Daughter. They are a Japanese rock band with some electro pop influence. Their music is probably not to everyone’s taste but if you’re feeling a little drained of energy…they might give you that extra pop! 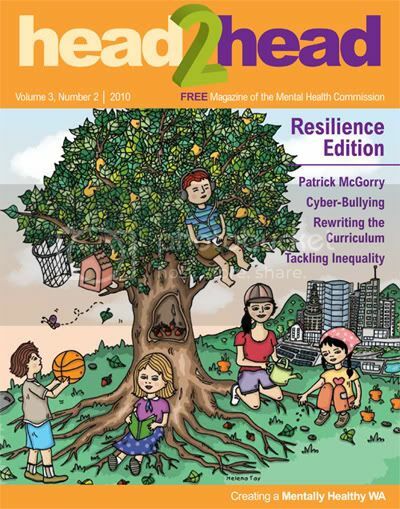 I also just heard that my artwork is featured on head2head Magazine. You might remember this post awhile back. I was trying to draw based on the department’s brief of ‘Wealth and Wellbeing’. The tree symbolises a communal green space; to play, rest, do some gardening etc. And I drew children as the characters (not just because it’s my style), but also because they are our voice for the future. I think the magazine cover came out pretty well! For more updates on my portrait illustrations, check out Little Mo and Friends Facebook fan page. 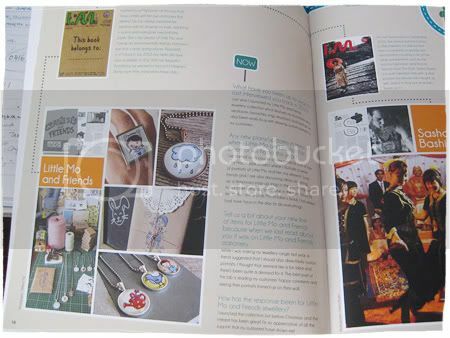 I heard from a few friends that they’ve seen my Little Mo stationery at Planet books. 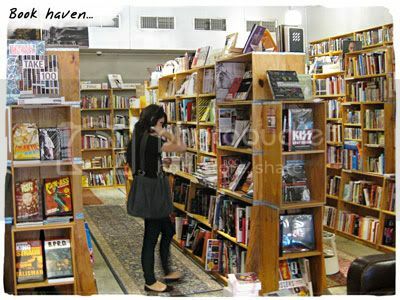 So we walked down to town to check out Planet Books and do a bit of book / paper browsing. Planet Books stock some nice collection of graphic art books and I was delighted to find artworks and books by local artists. 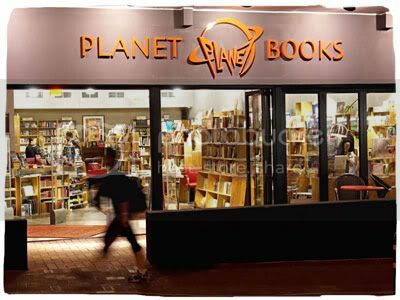 If you’re in the neighbourhood, you can buy our Little Mo stationery from Planet Books at 634 / 648 Beaufort St, Mount Lawley. 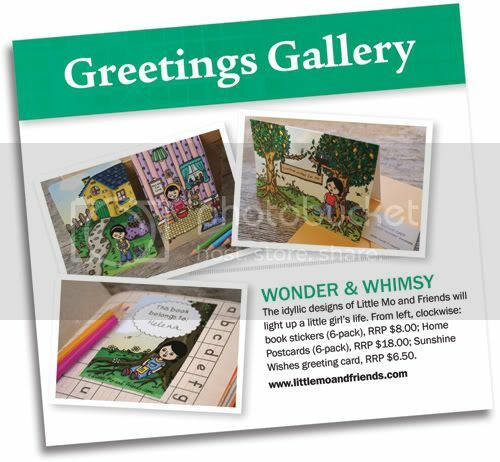 We have a fun selection of Little Mo dolls, book stickers greeting cards, postcards and journals. 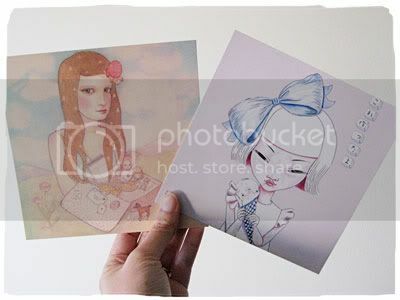 I couldn’t leave the shop without buying some nice stationery myself so I bought these lovely postcards by Lilly Piri and Andrea Innocent.